Assassin’s Creed continues its juggernaut journey across the videogame landscape with this Mark of the Ninja-inspired 2D stealth side-scroller. 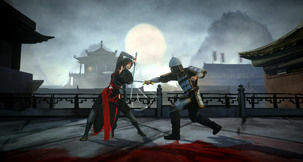 Chronicles: China is the first in three separate titles with another two - Russia and India - planned for later release. 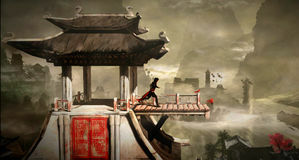 Confucius say... good though Chronicles is, Mark of the Ninja it is not. 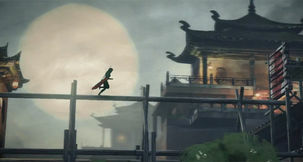 In this China episode you play as Shao Jun, the Chinese assassin intent on revenge after the destruction of her Brotherhood. Though Chronicles doesn’t reach the heights of its inspiration, it’s still a pleasant experience away from the bloated main series. Assassin’s Creed Chronicles: China eschews the 3D, expansive world of Unity and instead goes for a 2.5D style very similar to Mark of the Ninja - the obvious inspiration here. Hitting you in the face like a hidden blade is how much stealth plays a part in this game, far more so than the recent major releases. As such, manipulation of your enemies with firecrackers, whistles and environmental distractions is key to avoiding direct combat. Each level is essentially divided up into puzzle rooms followed by a checkpoint. Each checkpoint sees you given a grade depending on your play style - Shadow, Assassin and Brawler - all pretty self-explanatory though more points are given for taking the quiet approach. Stray into a guards field of vision and they’ll investigate, dally too long and every guard will be alerted to your presence. Once that happens out come the throwing stars and you’ll have to escape quickly to avoid death and be shoved back to the last checkpoint. Being spotted isn’t world-ending as guards can’t jump from level to level - crossbowmen have the ability to shoot long distances but just dropping down or scooting up a level and waiting for the timer to run down works pretty well. Sync points, animus shards and chests all add to the completionists obsessive-compulsive checklist and as you progress health upgrades, new weapons and skills are unlocked. Not to mention the typical character, place and backstory data. 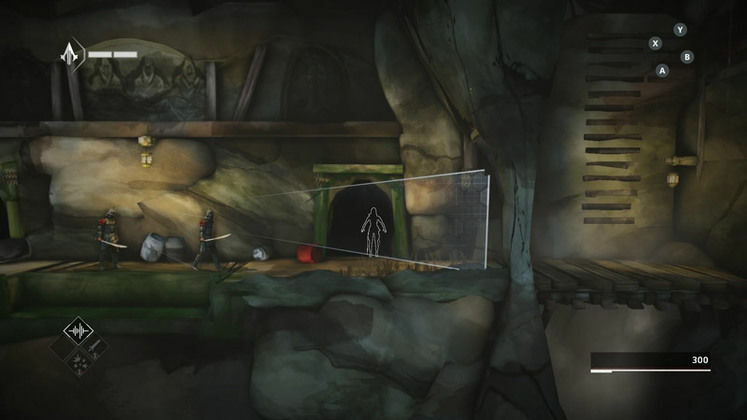 Amongst the levels are hiding places, allowing you to sneak around enemies and/or kill them if desired. They’re also good for hiding corpses. Later on these shadowy holes become bamboo screens or bushes which require you to remain still to avoid detection if a guard comes close. It wouldn’t be Assassins Creed without the old ‘hiding in plain sight in a crowd trick’ and Chronicles does the same, making gathering of civilians for you to hide in later levels. 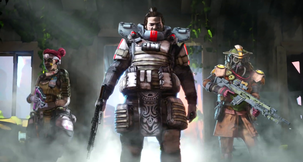 Groups will move around allowing you to sneak past some areas and avoid combat altogether. Throwing knives daze guards and cut ropes to unleash the deadly, red-coloured crates upon your enemies, firecrackers make noise and daze enemies while the noise darts allow you to create a distraction on the other side of the level. Finally you can whistle to draw hapless goons to your position, either to sneak past them or, in my favourite style, pick them off one by one until a mound of bodies lies on the floor. At the end of some levels you’ll have a target to eliminate. 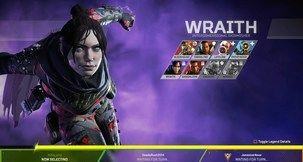 I was hoping for a boss fight or at least an environment where you can choose how you go about assassinating your mark. Mostly it’s a case of just sneaking up behind the guy as he looks into the middle distance and icing him - admittedly in a pretty cool animation. That animation style makes the occasional sword-play look damn sweet and I don’t know if I’ve played a game with a more satisfying block than Chronicles. Jun’s moves are exquisite and a joy to watch. 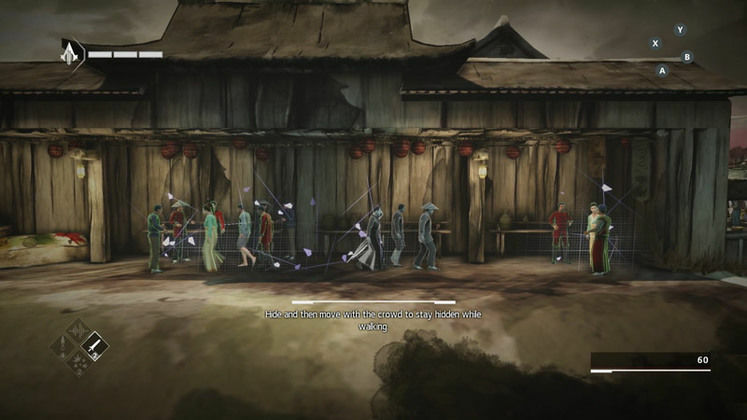 As the game progresses and new, meaner guards are introduced alongside barred hiding places that require time spent out in the open to unlock and use, Chronicles China opens out a little. Only in the final few levels could I blaze through. Combining quick attacks like the slide or leap kill move and then quickly hiding before resuming a different style of play. These twilight stages are Chronicles at its best - you’ve picked up the skills, have enemies that can devastate you if you get too close or clumsy, but you’re able to dispatch them with ease if you get your timing and planning right. Helping you along the way is the Helix power. 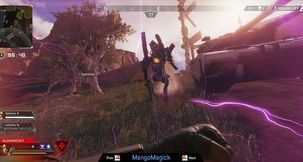 This power-up is filled by collecting blue Animus fragments and once activated allows you a short period of time where you can move from cover-to-cover without being detected, no matter where the guards are looking. It’s kind of a cheat mode for the areas where enemies are packed in like sardines and your brain gets fried by trying to figure out the solution. One cool moment in Chronicles: China was seeing the entire perspective of the level rotate from one side of a building to another. It gives the levels a bit more substance and depth than the 2D perspective allows especially when some levels allow you to move between foreground and background layers. I’m hoping these effects play into the future two episodes more. Cool effects aren’t going to paper over any gameplay shortcomings and Chronicles doesn’t escape without a few issues. This is a pretty simple game to grasp and although the difficulty sent me gnashing at times it never added to the experience as much as I’d hoped. For all the cool 3d effects to make Chronicles seem like a world with a lot of visual depth it lacked enough variety to match those elements. The levels rarely felt different enough to keep my interest going and if you’re hoping for any (and I’m clenching myself as I write) Metroid-vania trappings then Chronicles is going to disappoint. Sure, there’s Animus fragments hidden away in places that you can go back and find but nothing in the actual discovery of them feels worthwhile unless you’re a junkie for that kind of thing. There’s always the pursuit of a perfect Shadow run or trying to gold each level by being a Brawler, but honestly there’s not much satisfaction to be had by replaying levels in different styles until the later few levels as the much of level design isn’t expansive enough to warrant going back. Technically, I ran into a few issues with the game engine freezing at certain points. Sometimes at checkpoints and others when I was in the middle of a move. This issue has got worse the more I’ve played and maybe it’s a review code issue - hopefully it’ll be patched on release. Though Chronicles is playable with the keyboard, unless you want to give yourself a busted blood vessel I’d recommend going with a controller. Chronicles: China is a good game but its art style is a little muted and many of the locations feel too similar to be distinct enough to comment on. I like the style, I just wish it was a bit more vibrant. But here’s where my Assassin’s Creed DNA comes in - I loved the Ezio Creed games and since then the bloated tent pole releases have held little interest for me. Here, with a simple tale set in China I was much more willing to play and invest in Jun’s struggle. Chronicles might be a little tame in places and lack enough variety to keep you interested for long, but it has a charm I feel the other Assassin’s Creed games now lack. If the other two Chronicles games can build on this start then Ubisoft and Climax Games could show that just as with Child of Light and Valiant Hearts it’s possible to make a smaller, superior experience. Using the slide and assassinate move while running from a burning boatyard. ... that could be a bit more vibrant.